Before bonded fillings were created, the only option patients had to repair cavities, was by using metal or amalgam fillings. Understandably, many patients prefer a more natural look for their fillings. Bonded fillings address this need since they are customized by your Brampton Dentist to match the unique colour of your natural smile. Bonded fillings are made of a specialized resin that bonds directly to the damaged portions of your teeth. Once hardened with a special light, the resin becomes highly durable. Best of all, bonded fillings are quick to apply and can be applied within a single appointment. Aside from filling in cavities, Brampton's Earlsbridge Dental Centre can also utilize bonded fillings to make custom cosmetic changes to teeth. If you would like to lengthen a tooth, fill in a gap between two teeth, enlarge a tooth or repair a chipped tooth, for example, your Brampton Dentist will listen closely to your concerns and will be able to "sculpt" the cosmetic changes to cater to your cosmetic dental needs. 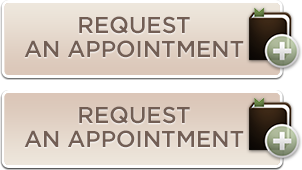 Contact Earlsbridge Dental in Brampton to schedule an appointment today. If you would like to learn more, sign up for our newsletter or visit our office at 10 Earlsbridge Blvd, Brampton Ontario.